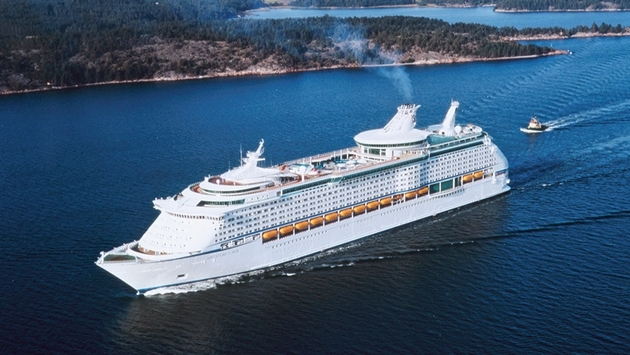 Royal Caribbean International is shortening the current sailing of Explorer of the Seas by two days after more than 600 people fell ill with vomiting and diarrhea. The ship is expected to arrive at its homeport in Bayonne, N.J., on Jan. 29 for intensive sanitizing. “New reports of illness have decreased day-over-day, and many guests are again up and about,” the company said in a statement. “Nevertheless, the disruptions caused by the early wave of illness means that we were unable to deliver the vacation our guests were expecting. Royal Caribbean said on Twitter that it was working on travel options for passengers and would share details when plans are firmed up. There was concerns from cruisers and their families about accommodations in New Jersey being scarce with the Super Bowl in New Jersey this week. 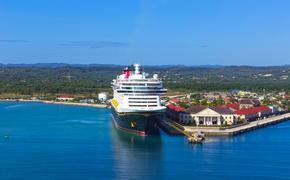 The company also said no changes to future itineraries are planned at this point. @bcorrigan01 We are working on travel options for our guests and will share details with them as soon as details are available. The CDC’s Vessel Sanitation Program (VSP) said 577 passengers out of 3,050 —18.9 percent — reported gastrointestinal symptoms during the Caribbean cruise, which departed on Jan. 21 and was expected to end Jan. 31. Also, 49 out of 1165 crew members — 4.2 percent — also fell ill.
A VSP environmental health officer and an epidemiologist boarded the ship in St. Thomas on Jan. 26 to conduct an investigation, environmental health assessment, and evaluate the outbreak and response activities. Specimens were collected and sent to the CDC lab for testing. The cause of the outbreak is unknown at this time, the VSP report said, although anecdotal information indicates symptoms are similar to those caused by norovirus. “Our doctors tell us symptoms are consistent with that of norovirus, but that they are awaiting the results of tests to confirm that diagnosis,” the cruise line said in its statement. “Our response included flying additional medical personnel and equipment to meet the ship, and conducting additional sanitizing procedures at two of the ship’s stops. Royal Caribbean said it appears that reported illnesses peaked during the first few days of the cruise, though some additional cases are to be expected over the course of the week. “After returning to homeport on Wednesday, Jan. 29, we will perform a thorough ‘barrier’ sanitization program on the entire ship to make certain that any remaining traces of the illness are eliminated,” Royal Caribbean said. “It will be the third aggressive sanitizing procedure the ship has undertaken since we became aware of the issue and will additionally provide a window of more than 24 hours where there are no persons aboard the ship, which is a significant help.